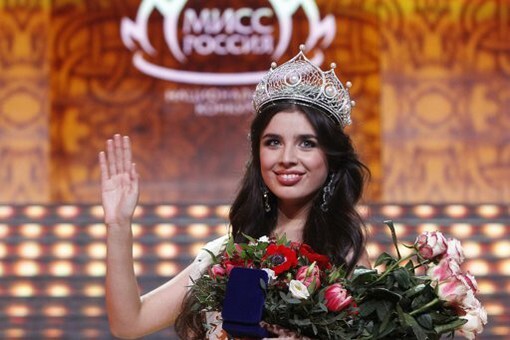 The new Miss Russia is 18 year old Elmira Abdrazakova who beat 49 other delegates to win the coveted title and US$100 000. Abdrazakova represented Mezhdurechensk and stands 1.65m tall. She is exptected to compete at both the Miss World and Miss Universe Pageants later this year. The first runner-up was Anastasia Yazakova representing Yaraolavl and the second runner-up was Irina Tumanova from the Republic of Kalmykia. The top 10 were completed by the delegates from Petropavlovsk-Kamchatsky, Moscow, Tyumen Region, Moskovskaya Oblast, Tyumen, Rostov-na-Donu, and Ivanovo. I am quite disappointed because the winner is not nearly as good as I thought even though I picked her as my winner. Not a fan of the top 3 in fact.